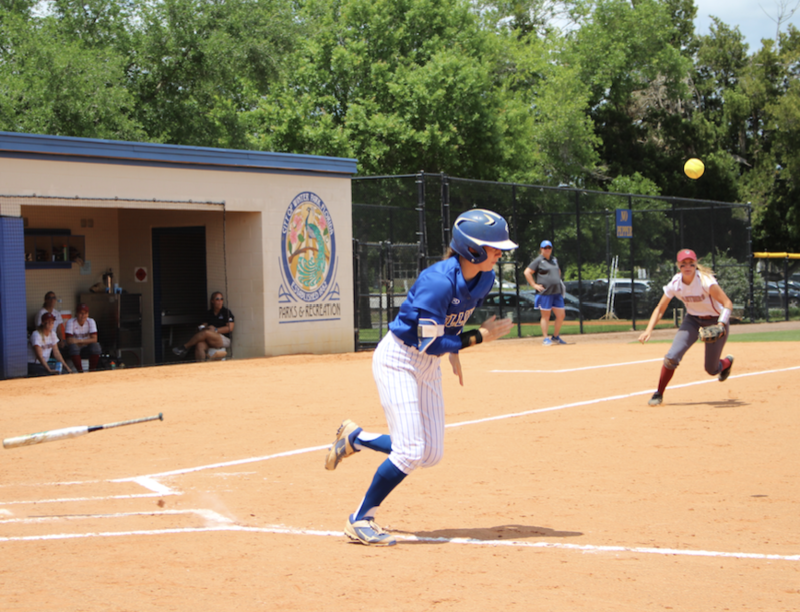 Center-fielder Jordan Davis (‘19) recently broke the softball program’s 21-year-old record for having the most consecutive hits. The senior lefty slapper is hitting nearly .500 at this point in the season. They say records are meant to be broken, and Jordan Davis (‘19) seems to have come to Rollins to prove just that. Davis, a senior on the softball team, recently broke a 21-year-old record when she had 12 hits in 12 consecutive at bats. The 22-year-old from Winter Springs, Fla. solidified the record-breaking hits against Eckerd two weeks ago. She says this season has been the most fun she has ever had playing softball, a sport she picked up at the age of 10. As a child, Davis would play on the same sports teams as her brother. This year has been a positive one for the softball team as a whole. Not only did it receive a new locker room and travel to Hawaii for games at the beginning of the season, but it is ranked no. 24 in the nation with a 33-7 overall record. Davis’ attitude is pretty relaxed. She takes every game as it is, not looking too much into the past or the future. Yet, she remembers the difficulties associated with transferring her junior year after attending Seminole State College for two years. 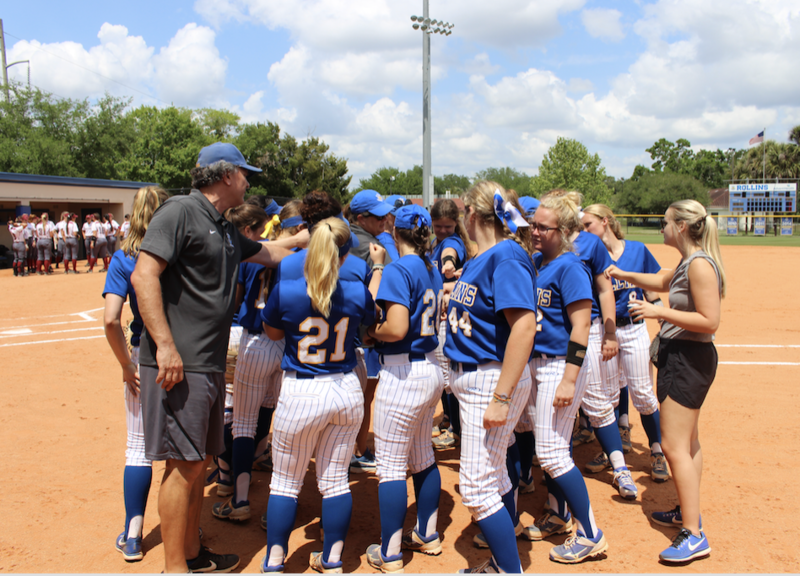 In the most academically demanding conference in the nation, Davis secured a spot in the Athletic Director’s Honor Roll for the Spring 2018 Semester and the Spring Conference Commissioner’s Honor Roll. Sportswise, it should perhaps serve as a measure of Davis’ grandeur that on a “transition season” she held the best batting average among the softball Tars, leading the team in hits and runs. With 33 stolen bases (6th most in a season in the history of the program), Davis had the best mark in the Sunshine State Conference. “My goal is to break the stolen base record that’s been here for a little while. I hope to continue to do well and have a really high batting average,” she said. 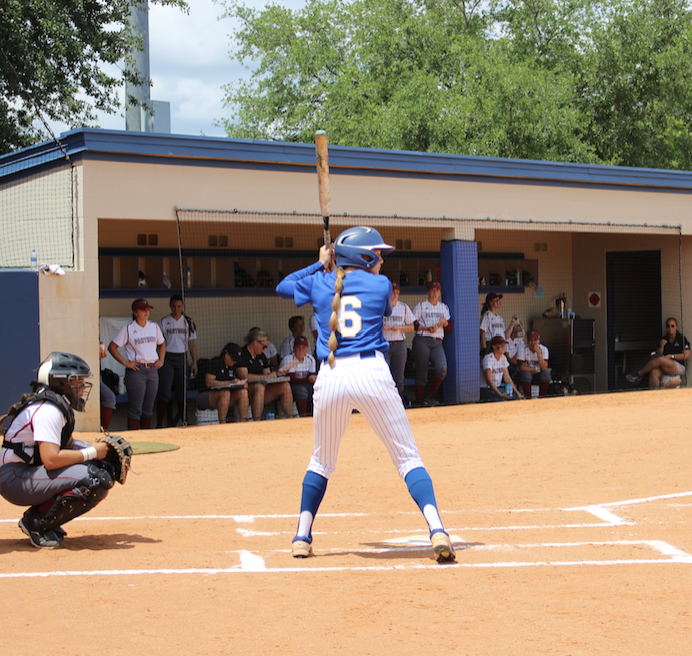 In her final season at Seminole State, Davis led the Raiders to its first ever conference title, recording a staggering .516 batting average, the seventh best in the country. She was the 2017 Florida College System Activities Association Player of the Year and Conference Player of the Year. With 66 runs in 64 games and a 21 game hitting streak, it is evident that Davis has always enjoyed dominating. According to Davis, the learning outcomes of the sport that she loves will accompany her beyond graduation. She said that she has learned how to work with others, communicate, emotionally invest herself, and recover after failure. “In softball, the odds are never in your favor,” she said.